American Rapper Jeffrey Atkins, known as JA Rule, is back with a new single titled 'Fresh Out Da Pen' after spending two years behind bars for attempted criminal gun possession. In his first post-prison speech, the rapper reflected on his experiences, new music, and his working relationship with Ashanti and plans for the future. 'Prison changes you a little bit. You get a chance to really be at one with yourself. A lot of late nights by myself in the cell just thinking about things that I've gone through,' he said. Speaking on the downward slide of his music: 'A lot of people think I was angry at the fans. But I wasn't as much as angry as I was hurt. I did a lot for my fans. I really love my fans. The New York rapper said he believed that the future was looking bright with Irv Gotti, hip hop and R&B record producer and founder of The Inc record label. 'I think we are going to rule the world again,' he said and expressed his delight to be back in the business and working. 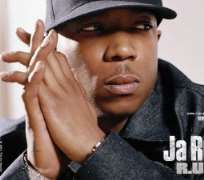 Ja Rule was sent to prison for tax evasion and gun possession. He pleaded guilty in 2011, admitting that he had failed to pay taxes on more than $4 million in income. He was released in May, 2013.